What is a New Construction Loan for Relocation? A new construction loan for a transferee who will be relocating is not the same as a traditional home loan, or mortgage. These are two different lending vehicles that are used for very different purposes. Finances the purchase of an existing home. Length may be 15, 20, or 30 years. Interest rate may be fixed or variable. Borrower makes principle and interest payments for the life of the mortgage. Lenders may sell mortgages to investors in the bond market. Length is the time it takes to build a home (usually 12 months). Is similar to a line of credit for a specific amount. Borrowers/builders submit draw requests to lenders. Interest is paid only on what is drawn starting at the time of the draw. Loan remains in the lender’s portfolio and is not sold to investors. At completion, a mortgage is granted for the new home. New mortgage pays off the balance of the construction loan. How Should a Transferee Start the Construction Loan Process? Obtain preliminary approval from their lender. Submit an application for a construction loan. Transferees should determine if they want to lock their rate in. TIAA offers an extended rate lock option. This may be helpful if interest rates are expected to rise. What does a Transferee Need to Obtain Approval for a New Construction Loan? The contractor must be acceptable to the lender. They should have the requisite experience to build a home according to the plans. Be reasonable for the proposed project. The home’s square footage/size is normal for the area. Construction costs are reasonable for the quality, size of the home, and the general area. Lenders approve credit files for the amount of the loan. If transferee will rent their former home, what is the rental? For the transferee who will carry both mortgages for the former and the new home, can they carry that debt? If transferee plans to sell the former home to help finance construction, what is the viability of having the sale occur in the necessary time? Will the new home require tearing down an older structure? Is the building lot included in the cost of the new home? Will the construction be an extensive renovation of an older structure such as a center-city townhouse? Are there specific architectural guidelines the project must follow? Do Transferees Need to Sell Their Current Home Before Applying for a New Construction Loan? Is there a mortgage on the current home? If yes, what is the amount of the current home mortgage? Will the transferee also be buying the land, or is the land already owned? What are the amount and terms of the new construction loan? Can the transferee receive approval for the total debt load of their current mortgage and the new construction loan? TIAA Bank offers a unique product for new construction loans: OTC. OTC is TIAA Bank’s “One-Time Close” new construction mortgage loan (available only in AZ, CA, CO, CT, DC, DE, FL, IA, IL, IN, MA, MD, MI, MO, MT, NC, NJ, NV, NY, OH,OR, PA, SC, UT, VA, and WA. ; other restrictions and limitations may apply). With OTC from TIAA Bank, the customer only goes through one closing process. During construction, the customer and builder request draws to fund the project. At completion of the home, TIAA Bank only requires a two-page conversion. 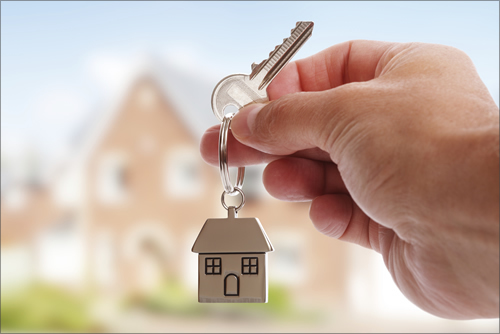 The customer is able to quickly move into their new home without having to wait for a second closing process. If the customer requires an extension, the two-page extension only requires notarization. TIAA Bank’s OTC new construction mortgage loan speeds the process for customers, and keeps them from having to go through a second, time-consuming closing. Transferees who want to obtain a new construction loan to build a home should review their current financial arrangements with a qualified lender. Transferees who have a mortgage on their current home may be able to obtain a new construction loan. However, this depends on their financial circumstances. Importantly, transferees should understand that they must receive approval for the total amount of current mortgage debt and new construction loan amount. Employers with transferees looking to build a new home as part of their relocation should direct them to speak with qualified lenders and financial advisors for guidance. Employers should also review their relocation policies to determine if enhancements can be made to allow for exceptions that may arise from transferees who want to obtain a new construction loan. Global Mobility Solutions’ team of corporate relocation experts has helped thousands of our clients understand how to communicate issues related to obtaining a new construction loan and various alternatives that might be under consideration. Our team can help your company understand how best to proceed by providing guidance to transferees on obtaining information from qualified lenders and financial advisors. 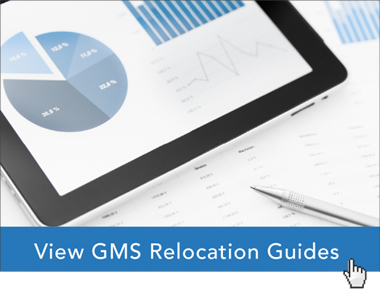 GMS is sharing public knowledge and can help companies more clearly understand new construction loans for relocations. However, GMS is not a CPA firm or a lender, and is not giving financial advice. Everyone’s financial situation is different; individuals and employers should consult their lenders and financial advisors prior to making any decisions.